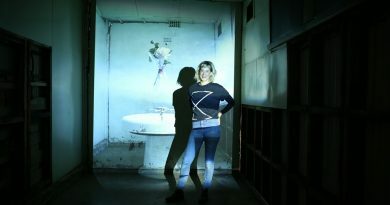 Castlemaine’s Cr Max Lesser has a way of brightening most rooms into which he walks. This is at least partly due to his preferred personal dress code – bright red with peg accessories of symbolic significance. 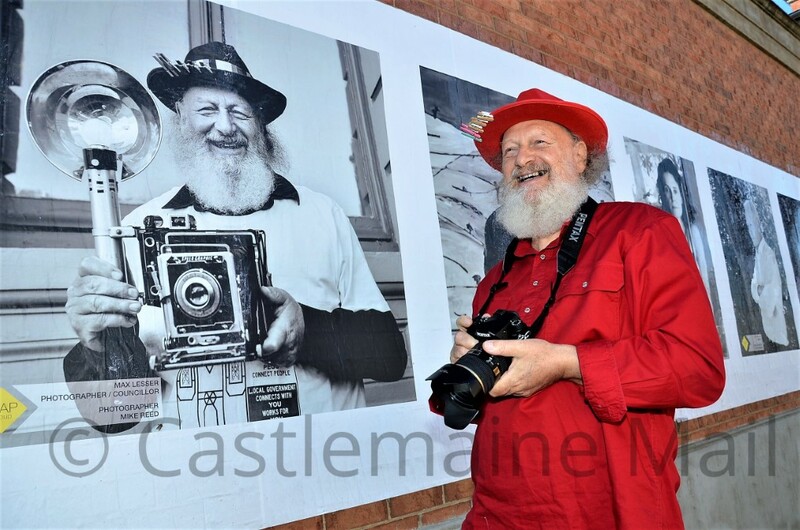 But now Cr Lesser is helping to enliven Castlemaine’s town hall civic building on the outside, and this time in arty black and white. 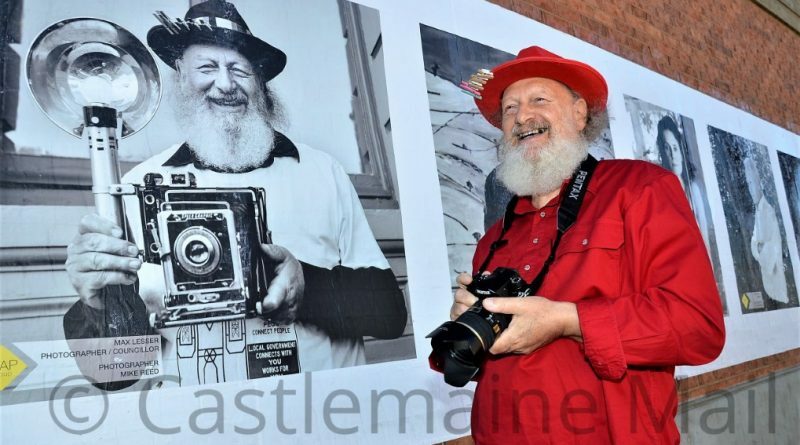 The local councillor and keen photographer is among a lengthy line-up of local creatives whose photographic portraits have been rendered as 90 large post-up images to grace the walls of various buildings in the CBD, Mill and Lot 19. 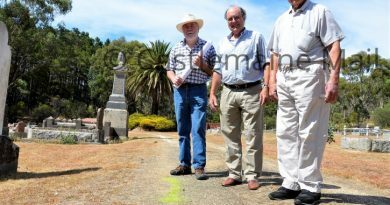 It’s all part of a MAPgroup project – the Beyond the Studio exhibition taking place during the Castlemaine State Festival, March 22-31. 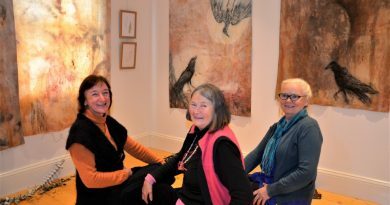 Local artists Ann Berg, Saide Gray and Belinda Prest with some of the work featured in EarthBody.